One of the biggest financial mistakes that many people make is taking on too much debt. It can slip up on many people without then even realizing what has happened to them. They may have a mortgage which also means they pay property taxes. They also probably have a car loan and a couple of credit cards. But then the house or the car needs repairs and they want to go on a trip or they really like buying clothes. Next thing you know their monthly payments for all of this debt are causing them a lot of stress. If for some reason you are unable to make all of these payments, your credit limit is going to take a hit making it more difficult to borrow money and you will probably have to pay higher interest rates as well. 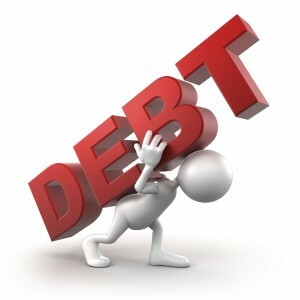 Most lenders view people has having too much debt when their monthly payments are more than 35% of their gross income. This includes all mortgage and loan payments along with the minimum payment on credit cards. Don’t forget to add in the property taxes as well. If you are close to this limit or over the 35% level then you are in the category of having too much debt. If interest rates rise and your mortgage or loans have to be renewed, next thing you know your monthly payments are well above the 35% limit and you are also having difficulty in meeting your monthly payments, along with the utilities and all of the other bills that regularly come in. Many people make this mistake and this is one of the biggest mistakes you can make when it comes to having too much debt. Pay off the debt as quickly as possible, eliminate the interest you are paying and make sure that you are not leaving yourself at risk due to increasing interest rates. You never know when an emergency will materialize and you do not have the savings or the room to add debt to help you deal with whatever emergency you may have. Always pay down your debt as quickly as possible. For more posts about debt freedom, click here.